Security Lock and Safe is proud to carry the Hayman line of safes. 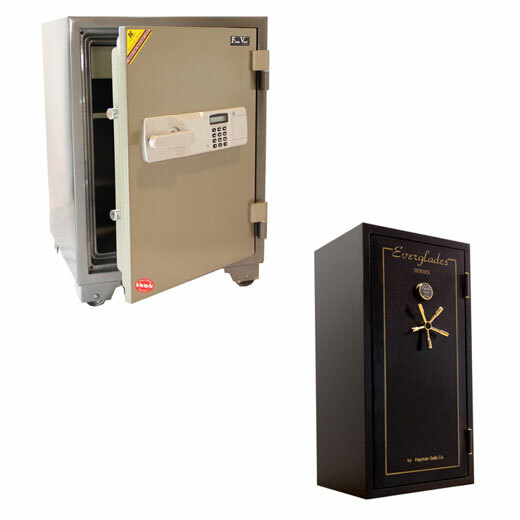 These safes, are available in sizes and security levels from document boxes to money safes and gun safes. All of our safes come in different dimensions, features which include dials and keypads. We offer delivery service and installation in St. Petersburg, Pinellas County and the Tampa Bay area. Our experienced technicians will work with you to help select the ideal safe for your needs. Accessibility, placement, weight, dimensions, certifications, budgets, weather and humidity, insurance considerations, types of valuables to be stored, security ratings, fire ratings, anchoring options – there are many considerations that should be taken into account in selecting the perfect safe for your home or business. Drop by our showroom to see some of the current styles, colors, sizes and configurations that are available. Let our great team help you pick one of the best safes on the market to meet your needs. Proudly serving the St. Petersburg and Tampa Bay area since 1979- Security Lock and Safe.